I love interactive books! 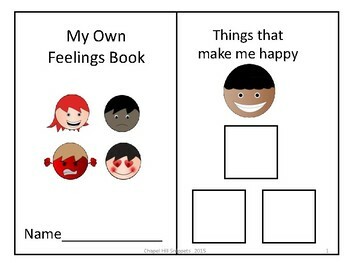 This is a nice product for having each child identify feelings (happy, sad, mad), and then identify what makes them feel each way. The end result is a personalized booklet. 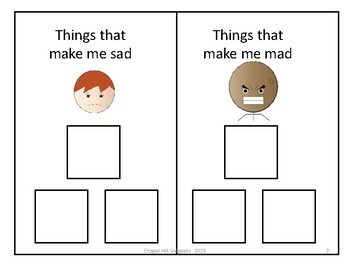 This is useful in the classroom, during therapy sessions, or in social skills groups. Graphics are from Smarty Symbols---a nice symbol set for which I have a commercial license. Please don't reuse in your own products. This is my sample free item, intended for the more linguistically challenged children. My products often work very nicely when the speech pathologist is collaborating with the EC teacher. Check out my other products!